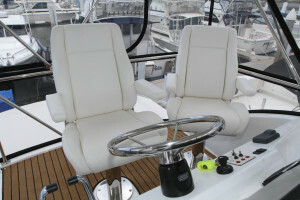 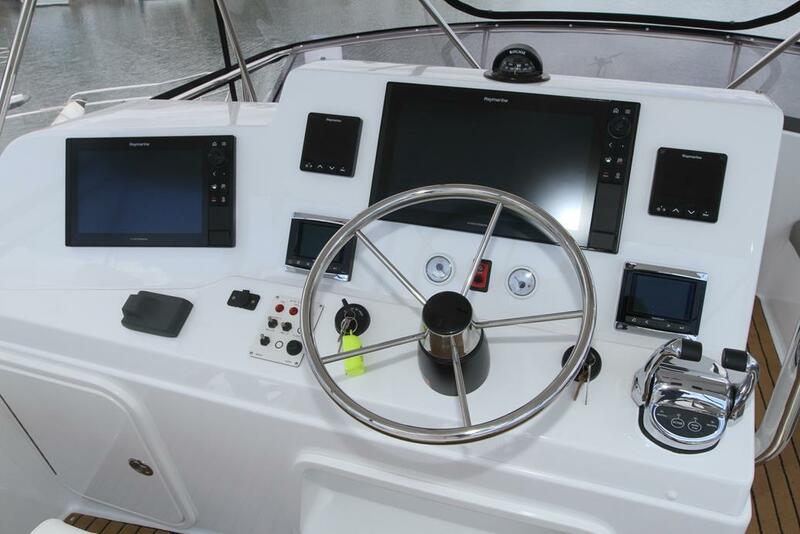 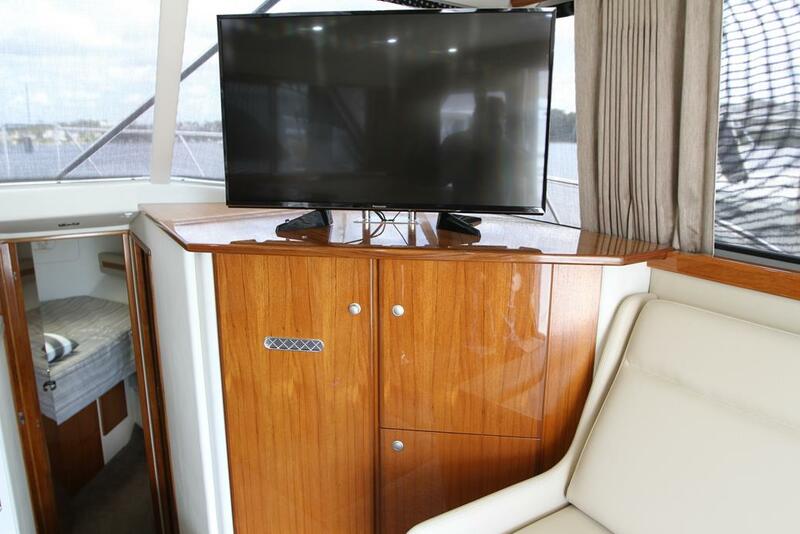 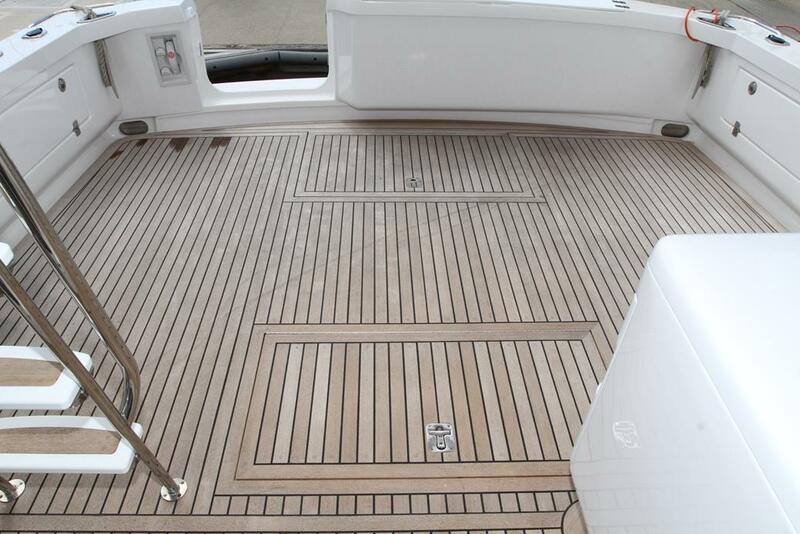 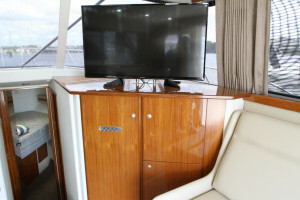 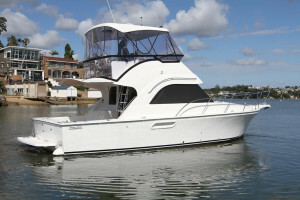 Our demonstrator 35 Caribbean is available for immediate delivery. 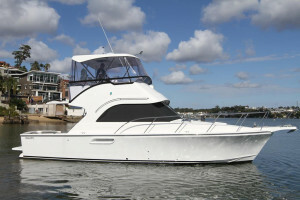 Take advantage of this new boat being sold at over $50,000 below replacement cost. 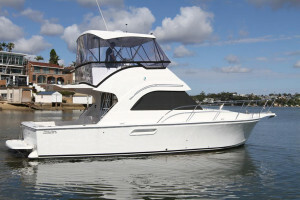 For generations the 35 Caribbean has been the choice of both family cruisers and fisherman Australia wide. 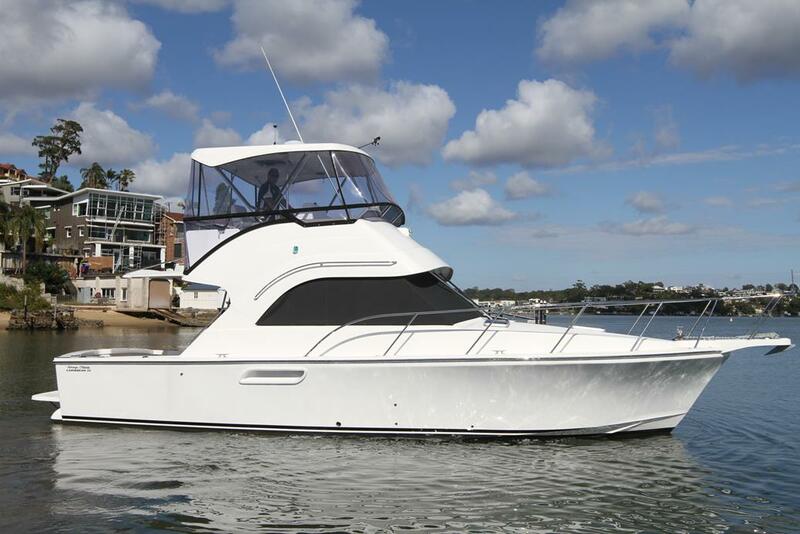 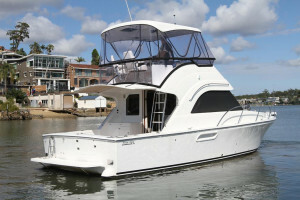 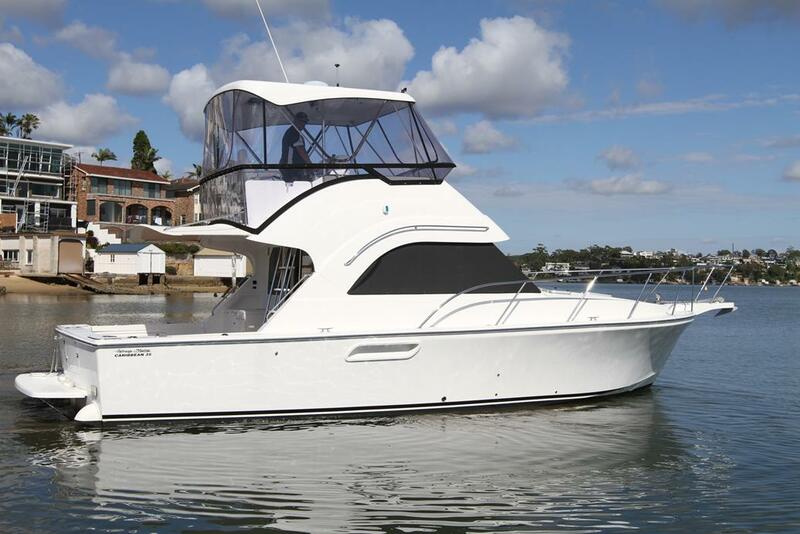 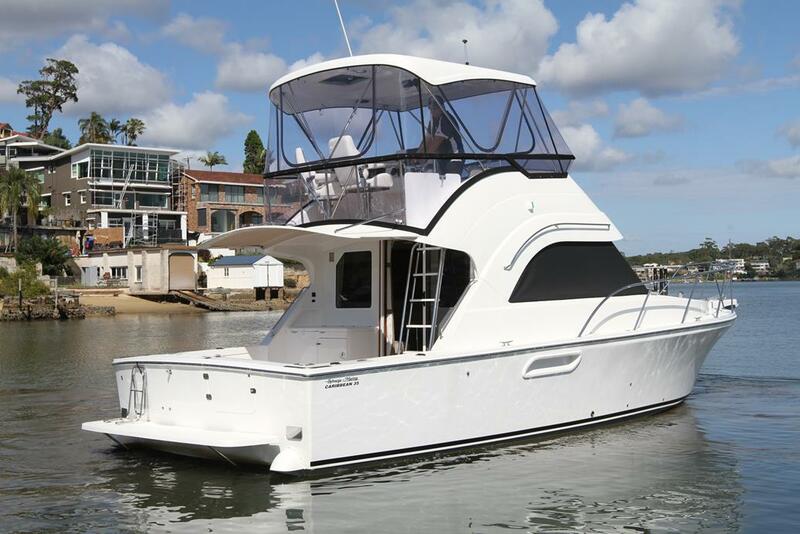 With its huge rear cockpit, spacious interior and well fitted out flybridge the 35 is the perfect all-rounder for Australian boaters. 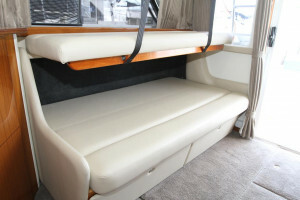 Powered by twin 350hp 6.7 litre Cummins diesels with an Onan genset this 35 has been fitted with options including Teak cockpit, Rear sun awning, Three sided screen covers, hard top hatch, gloss teak interior, Raymarine electronics comprising of 16" and 12" Axiom displays with two i70 displays, sounder, chart plotter, wind meter, VHF radio, Four sided flybridge clears, Flybridge dash cover, Navigator helm chairs and more. 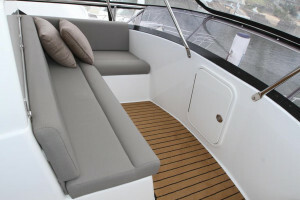 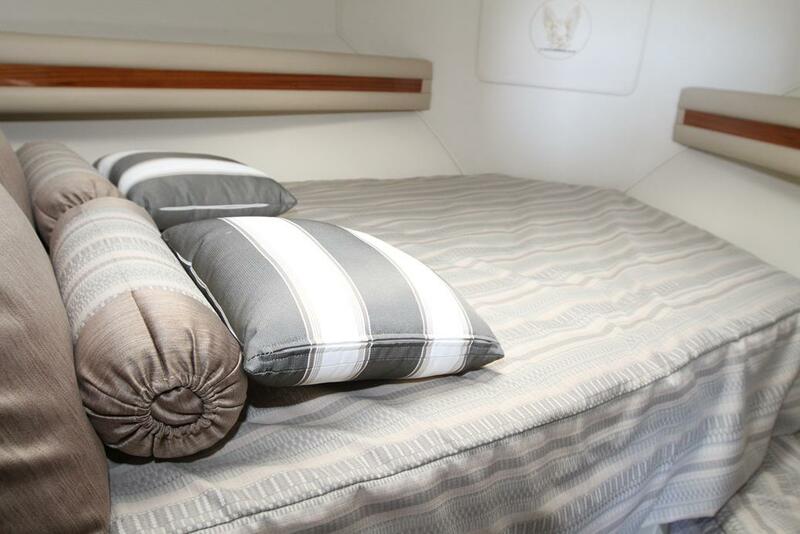 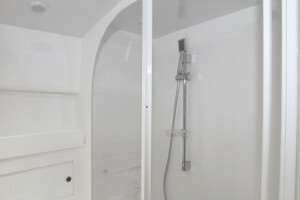 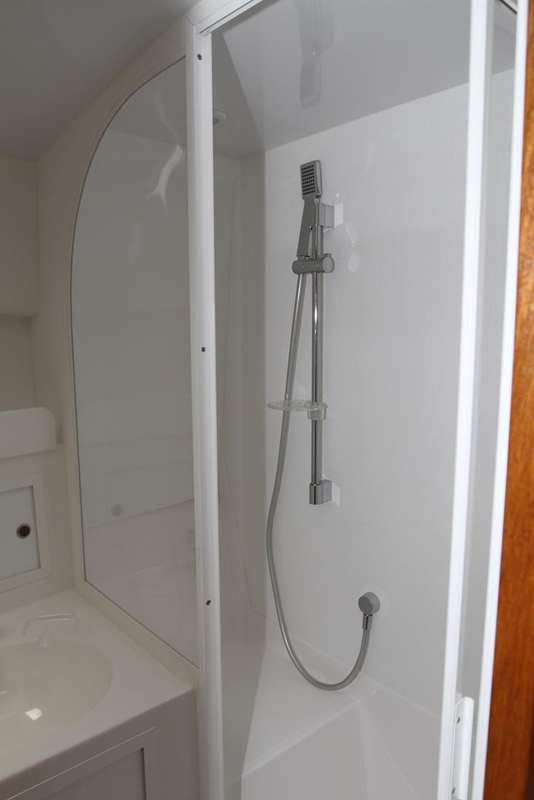 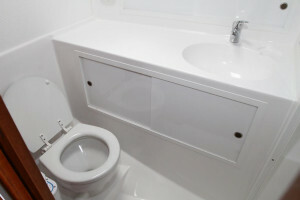 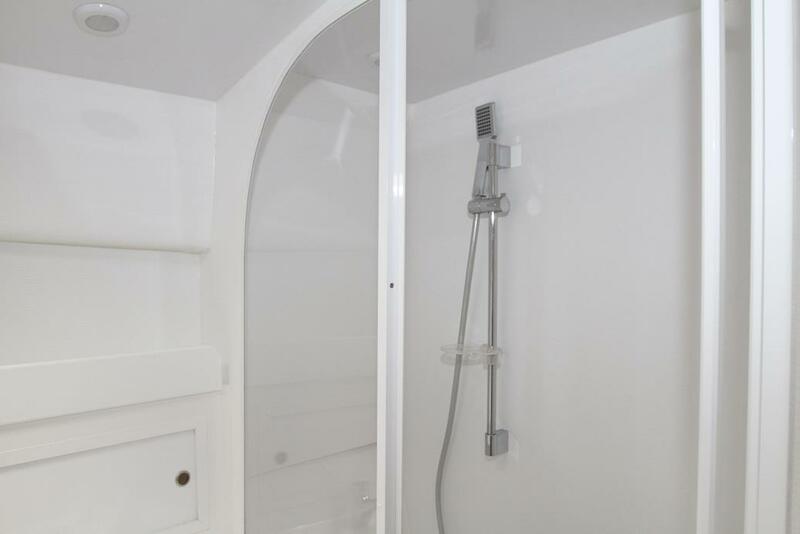 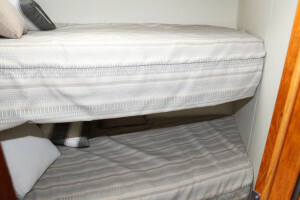 The twin cabin layout with convertible lounge give the 35 Caribbean accommodation for up to 6 people. 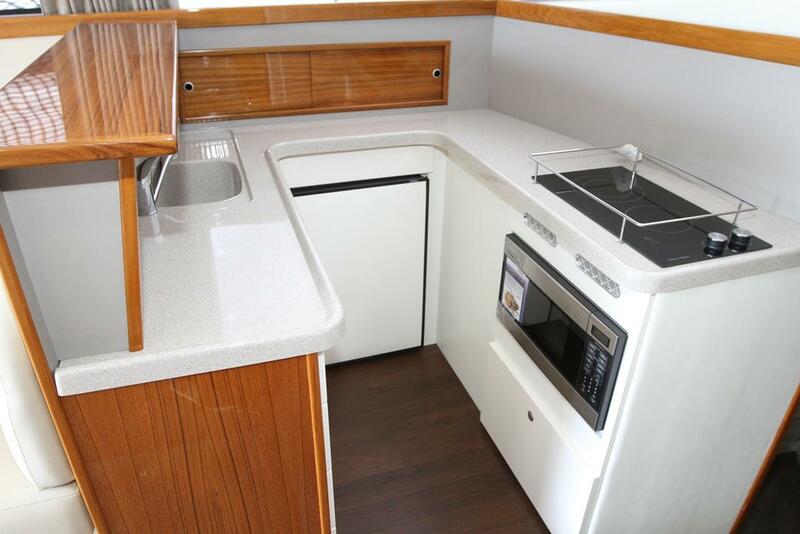 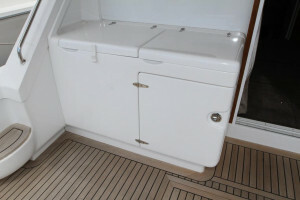 The large galley has a two burner cooktop with microwave, fridge, hot and cold water, fibreglass bench with moulded sink and a high gloss teak servery. 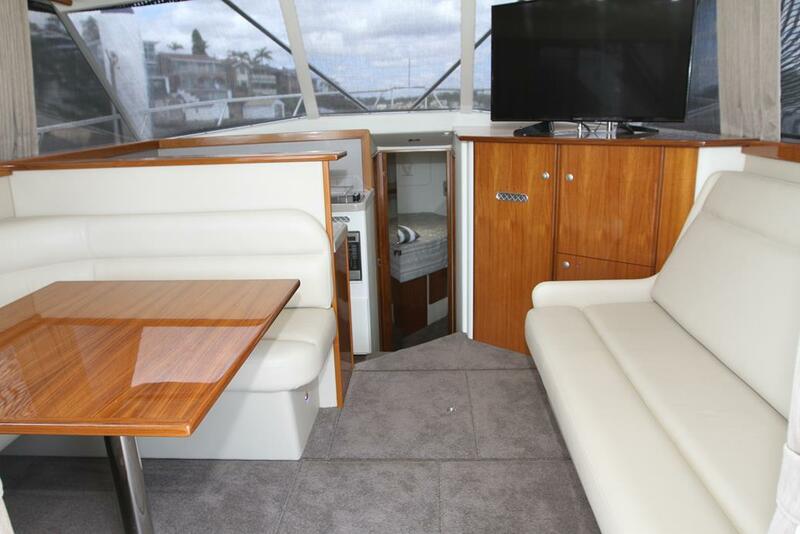 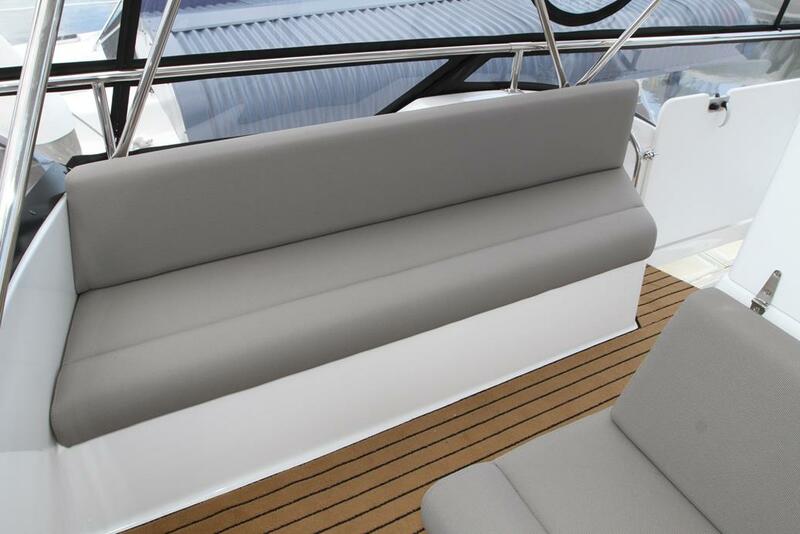 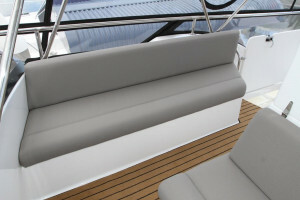 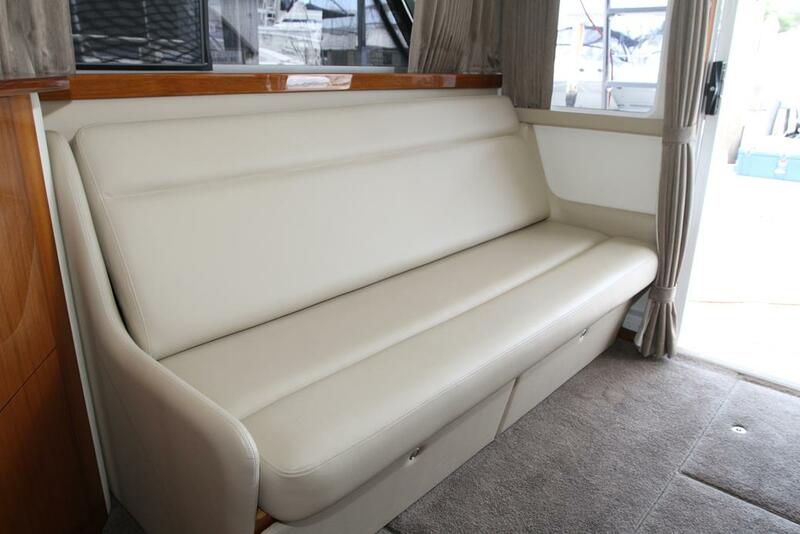 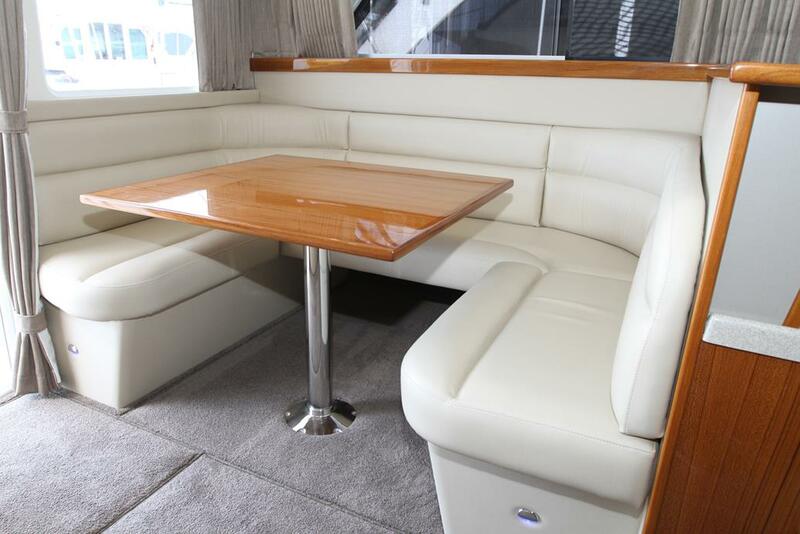 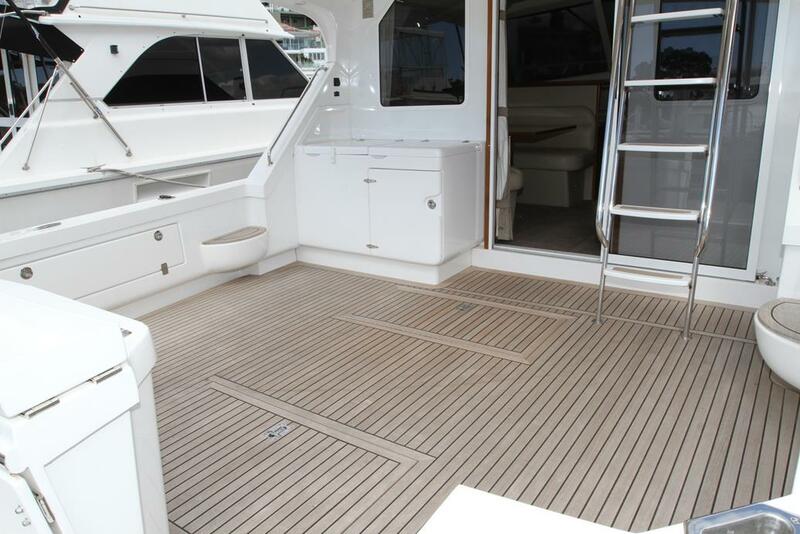 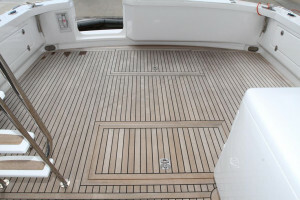 The saloon has an abundance of seating and storage for a boat of its size with a port side dinette with gloss teak table and convertible lounge Stbd. 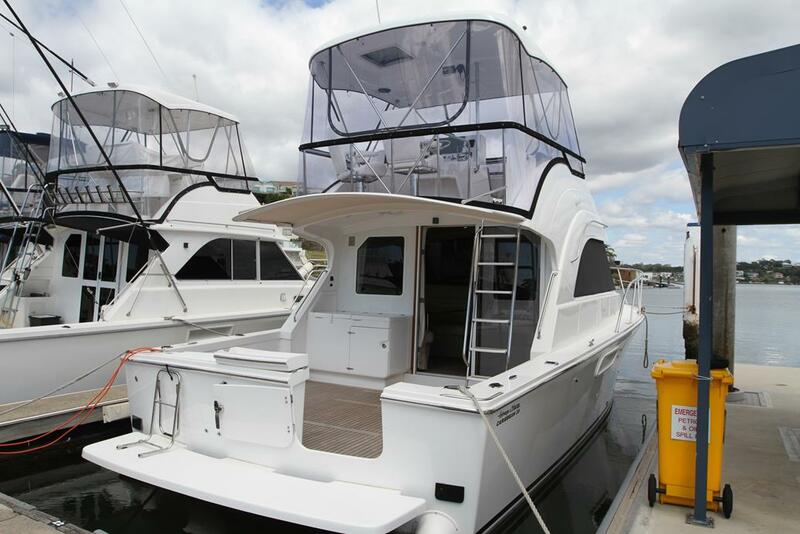 berthed here on the marina at Australia's largest Caribbean dealer Sylvania Marina and available for delivery immediately.